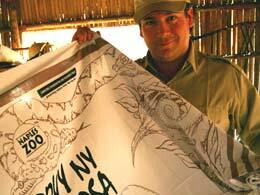 In cooperation with National Geographic explorer Dr. Luke Dollar, Naples Zoo helped fund educational posters, stickers, and lambas (multipurpose garment) that educate farmers about the benefits of healthy fosa populations. 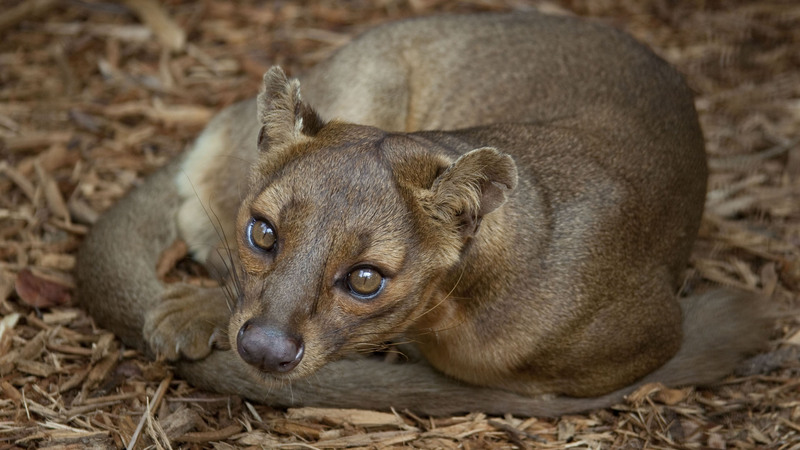 And for the first time ever with Naples Zoo funding, fosas were tracked using GPS collars revealing previously unknown behavior. Other projects include fuel efficient stoves (video) to reduce deforestation and research on invasive water hyacinths that impact waterways. Dr. Dollar is also on the cover of the Nat Geo science book used by 4th grade students to learn the scientific method. He makes an annual visit to connect with thousands of public school students through video links and in-person classroom visits.